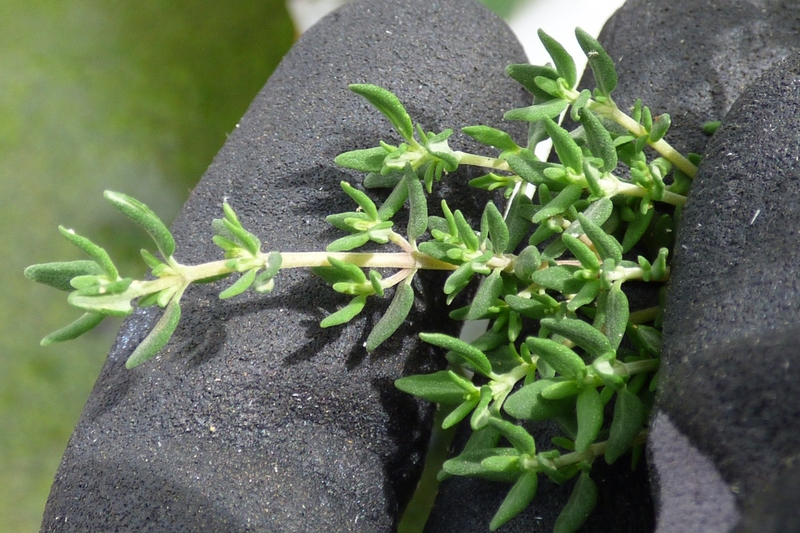 Thyme (Thymus vulgaris L.): growing, planting, caring. Scientific name : Thymus vulgaris L.
Thymus vulgaris (don't worry, that's no insult!) is a little bush that's about a foot long and easy to grow, given that it's in the sun, in chalky, well-drained soil and that it's trimmed after blooming to keep it nice and shapely. Other species have similar growing conditions, but beware because some species like T. cilicius, T. longiflorus and T. membranaceus are frost-sensitive in northern regions. Thyme is a bushy sub-shrub with linear, elliptical leaves. They're greyish-green, silky and aromatic. 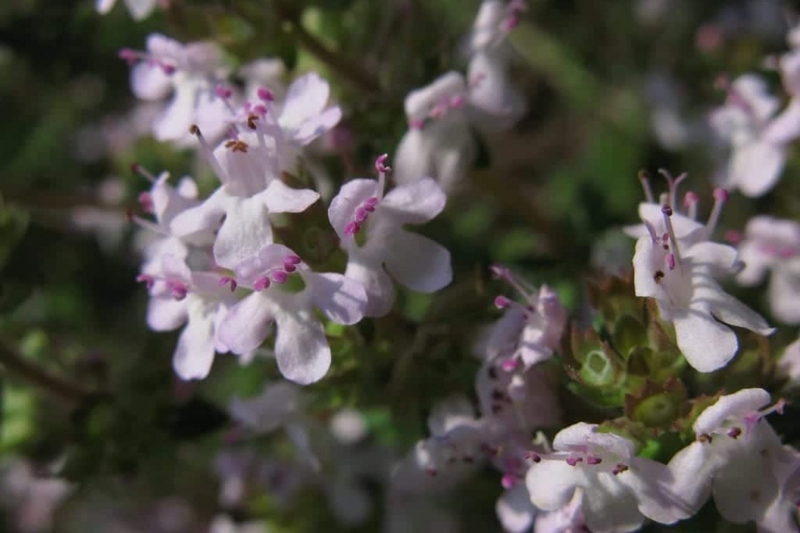 It's purple or white, whorled bunches of flowers bloom from May to October. Simply rub the foliage and you'll recognize it's distinct aroma! If you plan to use those seedlings in the garden, sow about 4 months before planting. Use a flat container with a damp potting soil. Lightly sprinkle the seeds over the soil. Mixing the seeds with fine sand before sowing may help you to spread the seeds more evenly with a bit more of a gap between the seeds. Cover seeds with a fine layer of potting soil, then cover the container with plastic and place in bright, indirect light, in a room where temperatures stay around 18-20°C. You should see seedlings in about two weeks. When you see the seedlings, remove the plastic, and keep the soil moist as the seedlings grow. If possible, water from below. Once the seedlings are large enough to be handled - when they have two sets of true leaves - they can be transplanted to individual containers. Plant in well-drained, chalky soil, in the sun. It's best to plant in autumn or the beginning of spring. Dig a hole twice as large as the root ball, then plant without burying the base of the trunk. If potted, give your thyme some chalky dirt, or add a some lime to the potting soil. Water after planting. Pruning is important to keep your plants nice and compact. After flowering, cut back the end of each branch by 1/3rd, and remove any dead branches. Thyme hardly needs any water! Water for the first month after planting, then only in case of drought or wilting stems. Harvest the tips of the branches and dry them out in order to store them until winter. Mulch lightly with slowly decomposing wood chips or a chalky mineral mulch, once per year in November. If potted, transplant in a slightly larger container every 2-3 years, and fill with a mixture of chalky soil and potting soil. Propagate your thyme by dividing adult tufts in spring, once they become very large.